This course will explore how creative writing and reading can assist the healing process. We will experience first-hand the power of personal writing and use this to explore how we can help others. The course, especially designed for practitioners and carers, will provide innovative workshop ideas and resources which will prepare and equip participants to continue this work beyond Tŷ Newydd. 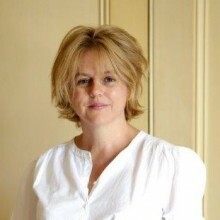 The tutor, Victoria Field, is a writer and poetry therapist who has worked extensively in community and health settings, including with individuals living with dementia, on a stroke unit and with adults with additional educational needs. We will also hear from guests who will talk about how writing and reading helped them to heal, including Rachel Kelly who has written about how reading poetry helped her overcome severe depression, and Eric Ngalle Charles who fled persecution in his homeland, Cameroon, and has written extensively about his experiences. This course is suitable for: beginners and experienced writers; medical and healthcare professionals; counsellors; therapists; social workers; librarians; academics; teachers; and service providers in a variety of health and therapeutic environments. 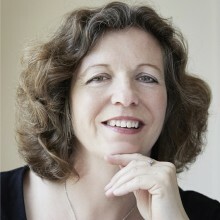 Victoria Field writes poetry, fiction, drama and memoir and works as a poetry therapist. She mentors trainees for the International Federation for Biblio-Poetry Therapy which offers qualifications in Poetry Therapy. She has used creative writing and reading in many health and social care settings, including hospitals, GP surgeries, care homes and libraries. Victoria has co-edited three books on therapeutic writing, most recently Writing Routes (JKP, 2010), and contributed chapters and articles to many others. She is a tutor for the Professional Writing Academy. Her most recent poetry collection The Lost Boys (Waterloo, 2013) won a Holyer an Gof Award. Her fiction has been commissioned for BBC Radio 4 and a memoir, Baggage: A Book of Leavings, was published by Francis Boutle in 2016. 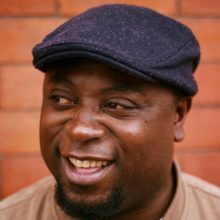 Eric Ngalle Charles is a Cameroonian born Wales based writer, poet, playwright and actor. Since 2003 he has worked and actively engaged in the field of literature and trauma. He is a fellow of the leadership network British-American Project, and currently sits on the Board of Directors of Literature Wales. In 2017, Eric was named on The Hay Festival’s 30 List and was awarded a Creative Wales Award from the Arts Council of Wales for research into Migration, Memory and Trauma. His latest publication is Hiraeth-Erzolirzoli, a Wales-Cameroon anthology (Hafan Books, 2018) and the first part of his memoir, I, Eric Ngalle, is due to be published by Parthian in autumn 2018. Educated at Oxford University, Rachel Kelly began her career at Vogue and went on to spend 10 years as a journalist at The Times. She now campaigns to reduce the stigma surrounding mental illness. Her memoir about her experience of serious depression, Black Rainbow, was a Sunday Times bestseller in 2014. She has also written about how a holistic approach has helped her recover: her second book on wellbeing, Walking on Sunshine: 52 Small Steps to Happiness, is an international bestseller and has been published in the USA, Canada, Poland, Germany, Turkey and Croatia. The Poetry Exchange explores the idea of Poems as Friends. They host conversations with individuals about the poem that has played a part in their life and in exchange, they make them a gift: a special recording of their chosen poem, inspired by their thoughts and feelings about it. Some of these conversations are shared more widely through their award-winning podcast. Their workshops draw on an archive of conversations with poems as friends to explore close reading and listening and aspects of voice in the written and the spoken word. 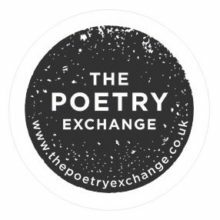 The Poetry Exchange was founded by Fiona Bennett, and is led by a community of actors, writers and producers including John Prebble, Michael Shaeffer and Sally Anglesea.